If you want to up your company’s Instagram game, an effective analytics tool will help provide you with a range of valuable, and actionable, insights. But which tool you actually need depends on the size of your company, what kind of learner you are, how much you know about data structures already, etc. With so many tools on the market to choose from, we thought we’d help narrow down your search – these five tools are some of the most popular (and talked about) on the market, but they all have their own pros and cons. In this post, we’ll outline what each company has to say about their Instagram analytics tool, and note some pros and cons of each. What they say: On Sprout Social’s website, Sprout highlights their Instagram analytics tools’ ‘quick insights’, outlining which of your posts perform the best, the ability to track engagement, measuring ROI through comparing both paid and organic campaigns, reports across multiple profiles to compare performance, and its post-publishing tool. Pros: Sprout Social offers online webinars, and even conferences, to provide education on how to better optimize their tools. They also offer the ability to schedule Instagram posts in a clear and easy way (many tools only offer this for Twitter posts). You can also share a post across all platforms via Sprout (more than just Instagram). 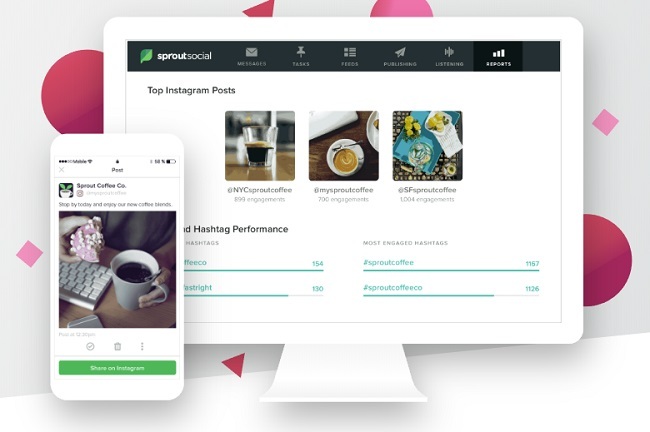 Additionally, Sprout Social lets you manage all platforms for multiple businesses, making it ideal for a social media manager with a lot of different clients. Cons: The mobile app doesn’t include analytics, while it also comes at a high price. This tool would be better for a social media manager who has the time to explore all of its functionality, rather than a small business owner who’s doing it all themselves. What they say: Union Metrics says that its Instagram analytics tools will help you get to know your audience by highlight your top fans and advocates. 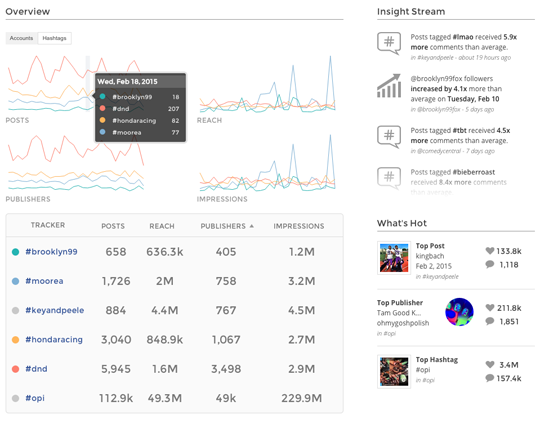 UM can also track your Stories performance to measure engagement, and track true reach and impressions. UM’s Instagram tools provide information on what type of content your audience likes the most, as well as tips on how to better optimize your content for your audience. UM also archives all this information for future reference. Pros: Users note that they enjoy the hashtag tracker, especially because it monitors the hashtags most popular with your user base. You can also use certain aspects of UMs service for free, while UM can also handle huge amounts of data: One user noted that they used this tool to track one of their hashtags with over 1.5 million photos on Instagram. Cons: If you need to manage multiple accounts, it can get rather pricey, depending on which plan you need. Also, some users noted that it can occasionally be slow to load. What they say: Iconosquare offers a 14 day free trial for their Instagram analytics tool, and you can share your performance reports with your team or clients via emails that the tool sends. Iconosquare also has a benchmarking feature, which enables you to measure your performance against others in your industry. The tool includes a content calendar to plan and schedule your Instagram content, including the opportunity to tag other accounts and add locations for more engagement. Pros: Users love the Instagram Stories analytics feature, with some noting that “it’s crucial” if stories are a part of your marketing strategy. People who aren’t necessarily as tech-savvy also found Iconosquare quite easy to use, while the tool also provides helpful breakdowns of your audience demographic details, including gender split, age-ranges, and locations. Cons: Some users have found Iconosquare’s categorization confusing, in terms of the names of the categories. Also, users who want to post large photos might have to resize them for Iconosquare, and the company’s email updates, while useful, can be somewhat frequent. What they say: This tool focuses on what drives your active audience’s engagement, and how you can optimize performance. squarelovin not only shows you the best hashtags to use and times to post, but it also notes the best performing filters to help focus your efforts. Pros: It’s free. It’s really rare to find a tool this good without having to pay for it. squarelovin tracks your Instagram account’s growth over different time periods, so you can see what’s working and what’s not. Under the engagement tab, squarelovin provides a collage of your most-liked photos, which is ideal for visual learners who get worn out analyzing all the numbers that come with most of these tools. 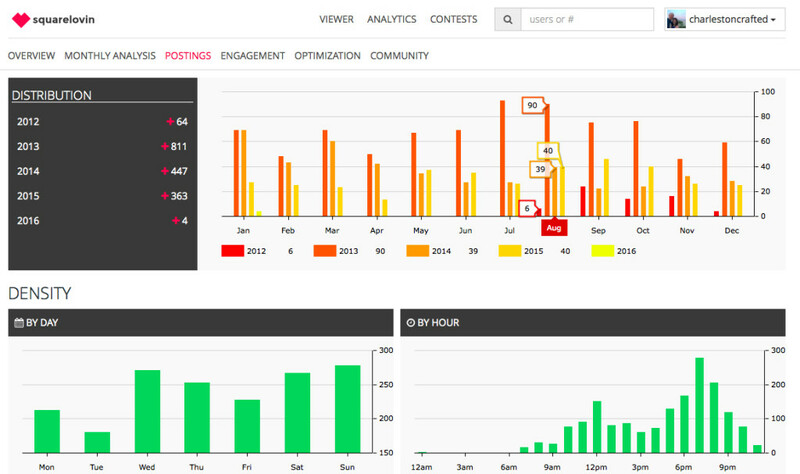 squarelovin also shows you when your followers are most active, as well as the exact impact specific filters have on engagement. Cons: The monthly analysis squarelovin offers doesn’t start right away (it begins after the first month). Founded in 2016, they’re a bit newer to the industry so there’s less overall negative feedback here. What they say: Keyhole’s website says its tool offers the opportunity to learn not only about your own growth strategies, but also those of competitors. You can set up feeds to track specific competitor accounts, while Keyhole also lets you share your dashboard with your team or clients so everyone can be in the know. Pros: This tool tracks web mentions to show you what other people are saying about your company, which can make it really easy to find influencers. Users also say that Keyhole reasonably priced. Cons: Users noted that the actual tool is a bit different from the free trial version. Also, if you don’t put your trackers in place from the get-go, it can be tough to set them up later down the line. 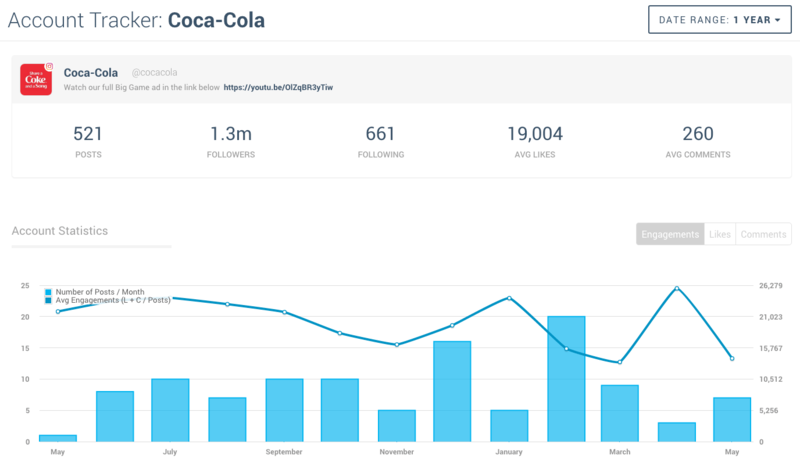 There’s a wide range of Instagram analytics tools available, each with its own benefits and features. Which is best for you will depend on your unique use case, but hopefully these notes will help provide some direction as to where you should be looking for your purposes.